As I gazed upon the aftermath of the fire, all I could think about was the devastating effects it has had on local ranching families and wildlife. Fortunately, there are steps we can take to restore these scorched landscapes and prevent damaging wildfires in the future, but we have to act fast. The Soda Fire burns grass and sagebrush in Idaho. Fire is a natural occurrence in western sagebrush landscapes, but this fire burned particularly hot, driven by high winds and fueled in part by invasive cheatgrass. The latest reports say that the fire is 90 percent contained with high hopes that it will be fully contained in the near future. At that point, the focus will turn very quickly to recovery efforts to restore critical habitat and to revitalize the livelihoods that have been so gravely affected. However, the landscape is not one that is easily recovered. Sagebrush takes many years if not decades to restore to full functionality. This is particularly distressing to me when I think about the countless efforts by state and federal officials, private landowners and conservation groups that have been working feverishly over the last few years to protect habitat for the greater sage-grouse in an effort to keep it off the Endangeres Species List. Despite all of the economic, ecological and emotional losses caused by this fire, there is some good news. The Interior Department announced yesterday a major new effort to prepare for restoration and recovery efforts that will help put lands destructed by fires on a path to recovery. 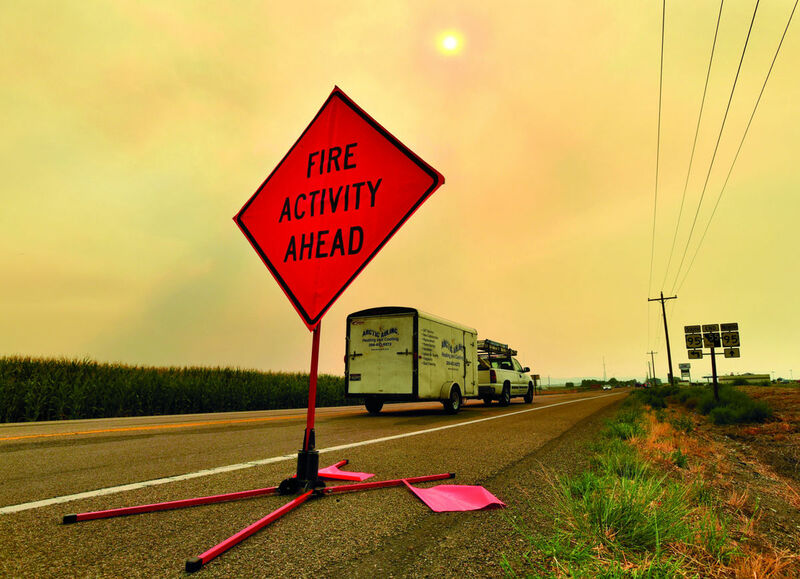 The plan, formally called the National Seed Strategy, seeks to stock sufficient and appropriate native seed mixes so that restoration workers can rapidly reseed burned landscapes and start the clock toward recovery. 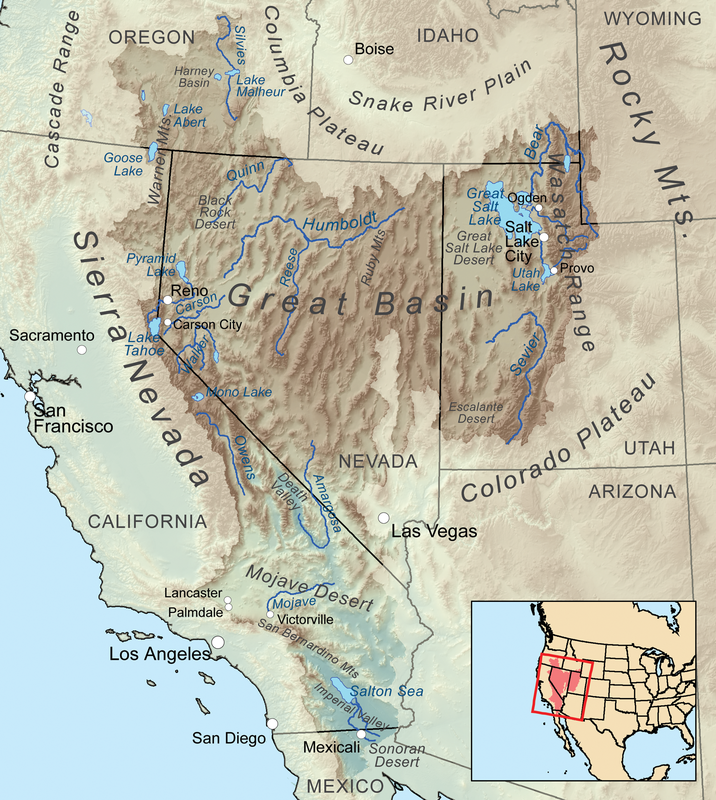 Map of the Great Basin region, often impacted by destructive wildfires. The National Seed Strategy will take some time to implement, so we can only hope that the appropriate seed stock is available for the Soda Fire site. In the meantime, a high priority must be placed on preventive measures, such as removal of invasive cheatgrass. 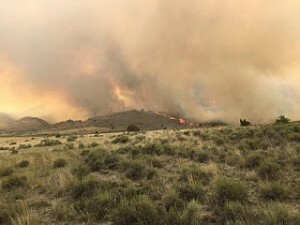 Presence of cheatgrass speeds up the fire cycle and makes it difficult for sagebrush to establish itself before the next fire hits, creating a new system of mostly annual grasslands without shrubs – a condition in which many shrubland species cannot survive. This is what is currently happening across vast swaths of the Great Basin region (Nevada, Utah, Idaho, Wyoming, Oregon and California) and is one of many threats to sagebrush species like the greater sage-grouse, mule deer and pygmy rabbit. Investments in the form of government programs, or new innovative programs like habitat exchanges, can help drive preventive action while also providing new revenue opportunities to farmers and ranchers for conservation. Efforts like these are critical to restoring the species and the livelihoods that depend on these working western landscapes. This entry was posted in ecosystems, Habitat Exchange, Wildlife Protection and tagged great river basin, habitat exchange, Highway 95, idaho, Interior department, mule deer, national seed strategy, ranchers, restoration, sage grouse, sagebrush, sally jewell, soda fire, wildfire, wildfire restoration, wildlife. Bookmark the permalink. Both comments and trackbacks are currently closed.